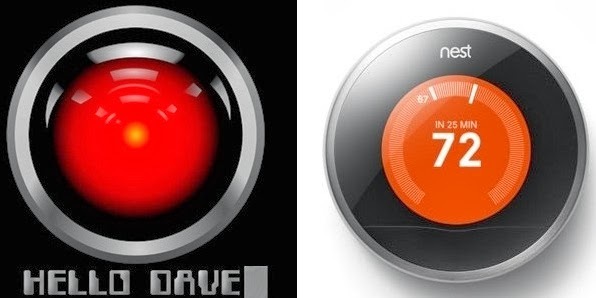 Seriously, Though, Why Does Nest Look Like Hal? Ahh! Skynet! Big brother! George Orwell! Google's selling your personal data! Privacy! Ahhhhhh! Ok cool. Now that that's out of the way. 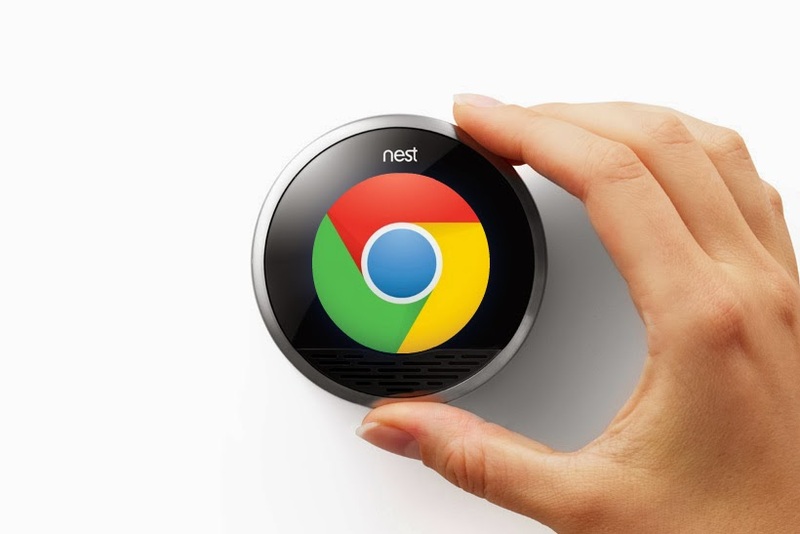 In case you weren't on Twitter yesterday, Google bought Nest. If you don't know what Nest is, Nest is one of the most exciting new tech startups of the past few years. They provide a smart thermostat and automation service that will monitor and control the climate in your home in order to increase efficiency and save money. That's it in a nutshell. It's a phenomenal service and it is exactly the type of company Google would love to have, because that's one of the few remaining sensors Google lacks. They know know your web use (chrome), they know your communications (gmail/hangouts), they know your location (maps), they know what you buy (wallet), they know what you read and watch (Google Play, Youtube), soon they will know how you drive, but they still don't know the temperature of your living room. Problem solved. We just had a pretty severe cold snap in Chicago and I can see the Google owned version of Nest now. 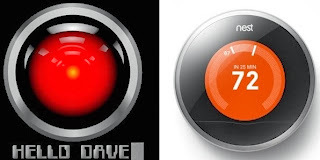 I keep raising the thermostat in the house to battle the cold. I then hop on my computer and I'm presented with a travel ad saying "Vacation in Mexico, it's warm, we promise!" My electric/gas bill seems to be abnormally high, I start getting banner ads for HVAC services. There's all sorts of targeted ads I have yet to see. Don't worry, there's nothing ominous about this at all. Mostly. There's mostly nothing ominous. Google benefitting off our data isn't always a one sided deal though. There are a lot of things consumers can reap from this sale as well. I commute about 120 miles round trip every day. When I get up in the morning, Google Now alerts me to travel conditions along my normal route. I get a similar alert before i head home. Combined with the Nest data, Google/Nest will know the temperature while I'm gone is not a big deal and a savings opportunity. Google/Nest will also know how long it takes me to get home and when to start heating the house for my return. I imagine this is not the only venture into home automation we'll see from Google over the next few years, so hopefully we'll see more things added to our in-home "internet of things" from the Google brand. There is a conversation to be had about privacy as well, but frankly, we have yet to see any negative ramifications from the likes of Google knowing everything about us. I think people are more concerned about the NSA for now, so that pressure will be passed to Google who will hopefully go to bat for the consumer on this front. If you can't handle your data being used by anyone other than you, then you can always quit the internet, but as for myself, I'll stick around. I don't put everything I think, say, or do in real life on the internet for a reason, but we live in a new normal. It is better to participate in the market and pressure companies of the future to safeguard our data and use it responsibly. Nest is a good start, but I personally am more excited about getting Google in my washing machine. 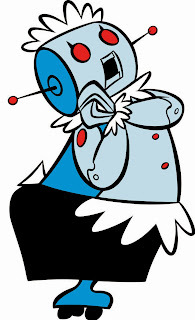 Or more accurately, I want a Google edition Rosie the robot to put away my laundry. Google also bought Boston Dynamics. Rosie can't be much more complicated than the Big Dog, can she? Just a little polish, that's all.